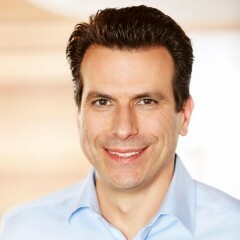 Andrew Anagnost is Autodesk’s president and chief executive officer. Previously, he was the chief marketing officer for Autodesk and leader of the Business Strategy and Marketing organization, responsible for overall marketing direction and resources for the company, as well as for leading the company’s business-model transformation and evolution. Prior to joining Autodesk in 1997, Anagnost was a composite structures engineer and propulsion installation engineer at Lockheed Aeronautical Systems Company. After leaving Lockheed, he completed a doctorate at Stanford University and worked at NASA Ames Research Center as an NRC postdoctoral fellow. Anagnost holds a BS in mechanical engineering from the California State University, as well as an MS in engineering science and a PhD in aeronautical engineering and computer science from Stanford.